DarthViticus had the most liked content! Interested in the storage bags. You still making them? 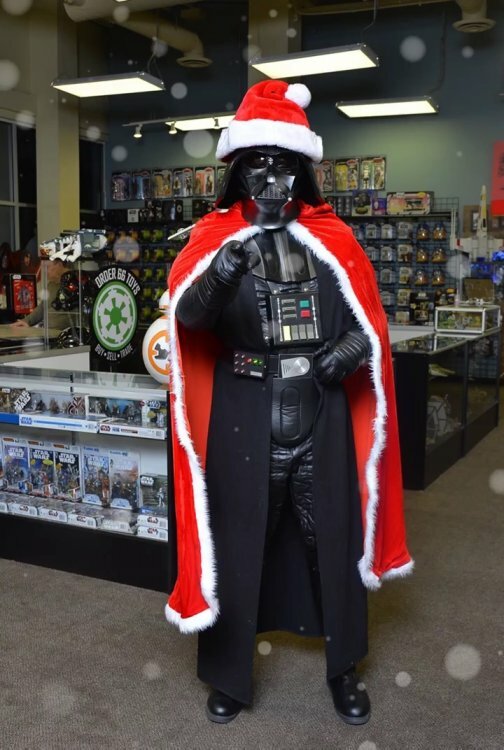 MERRY CHRISTMAS TO MY FELLOW SITH DETATCHMENT MEMBERS. If its still available I will take it. What is your PP address? F&F or G&S? Here I am testing out some lightsaber SFX for a fun SW Fan Film I am working on. Sent you a PM - thanks! We are back to producing Sith Protection Bags! Reserve your spot now in 2017. I am excited to announce that my application and pic submissions were approved for Sith Lord. Thanks all for the help and guidance through the process. Also - what is this - Anarchy design mantle $300 shipped, new - is this the shoulder armor with bells? If so what size it it? Prowse or scaled? Thanks! I am interested in the Korbath shin guards $115 - I can offer $115 including shipping. I live in TX. Hello - are you still looking for a ROTS Helmet? I have a MR ROTS Ep III Limited Edition 0052 for sale. I have not posted it here yet. Hello! Is the ANH Quasimodo helmet still available? Hi, the helmet is sold. Sorry for that. I have to mark this at the topic. QQ - I have a lead on another ANH Quasimodo helmet + armor. What did you think about the quality of the helmet and for trooping with it? Did you have the armor as well? Also, can you share the price range one would expect to but a helmet? Hello. Do you make ANH helmets? Your ESB/ROTJ helmets are superb. Thanks. Ha yes - I am part of several forums and this one is a little different on how to communicate with others I do see the "Message" which I assume is the PM so will definitely us that for price communication and more personal convos. I am very happy with the support that I have been given here and very much enjoy meeting others and sharing like interests. Thanks again. I am interested in the ANH gloves. I have a set of Porty AHN gloves that I will re-sell. OK cool. That's perfect. I'll text you when I get to the area. I'm pretty far so I'm leaving early since I'm sure there will be some form of Friday traffic. 1) Weird. AP's lists are always long. 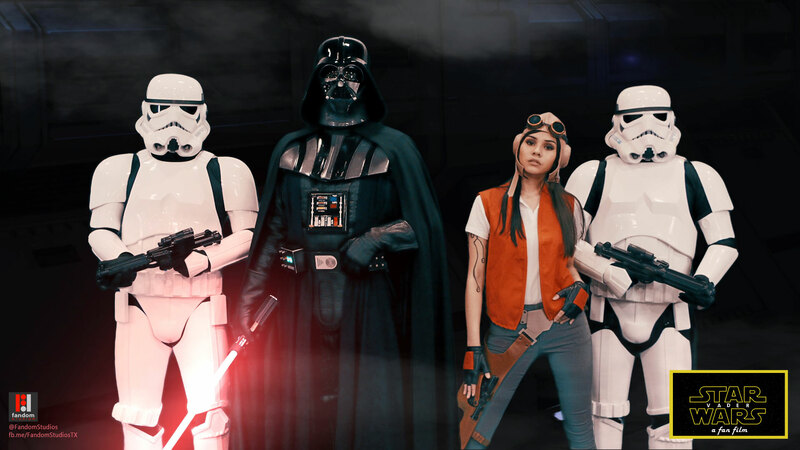 I'd actually recommend 2 people: DarthBrooks here on the forums and a guy named Enes who you can find on the Darth Vader Movie Accurate Costumes Facebook pages. They are awesome, accurate and you won't have to wait as long. Both CP and FP have long waits as well. 2) Avoid anarchydesigns! He's a scammer. There was a thread about him as he's changed his ebay name a few times to hide his identity. The eFX helmet will be perfect. I actually have scaled (normal sized) Portumac armor coming in the next week or 2 if you want to buy mine. I paid $438 shipped but you can have it for $400. His production time is a month so again, no wait if you snag mine. Definitely sell the Korbanth armor. Oh good! I think I'm on there too. Great - We will be at IKEA around 3:45pm. We'll park on the North side of the building facing the ballpark. I will be in a white Nissan Armada. Text when your around there. I will look up the cod pieces and not purchase the anarchydesign set. I was reading up on them and some used them and some did not because of recasting. I was thinking to sell my MR ROTS and buy a Darth Ugly - will that matchup with the Porty armor do you think? I'd message bookface and see if that bucket will match up with that armor. I'm not familiar with the Prowse-size armor other than reading how large it is on most people. Sorry for bringing this up again - but do you still have any of the "B" ANH CODS available? Thanks! Hello - I commented on your COD post to sign up for a ANH cod. Can you confirm I am on the list? Thanks!